about the X-AXIS. 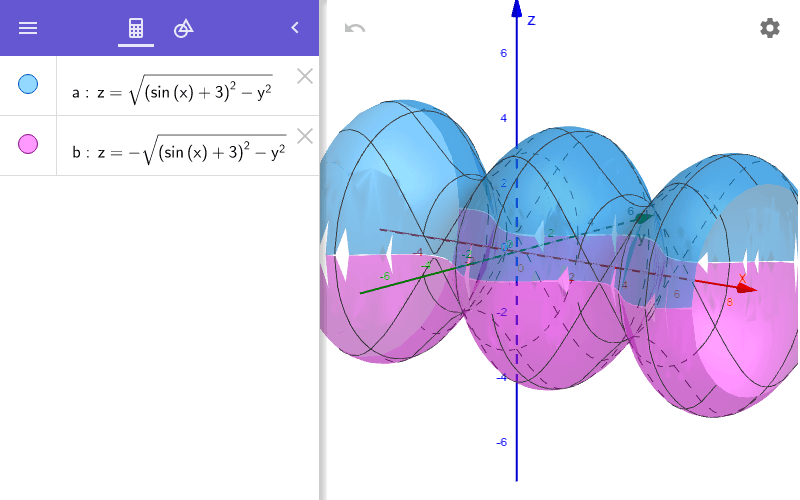 In GeoGebra's 3D Graphing Calculator, this is actually quite easy to do. The silent screencast below illustrates how easy this actually is. Try it yourself before moving forward! Note: You don't have to use the function illustrated above. You can use ANY FUNCTION! Move the LARGE BLUE POINT to the LEFT. Note cross sections are CIRCLES with radius = f(x). 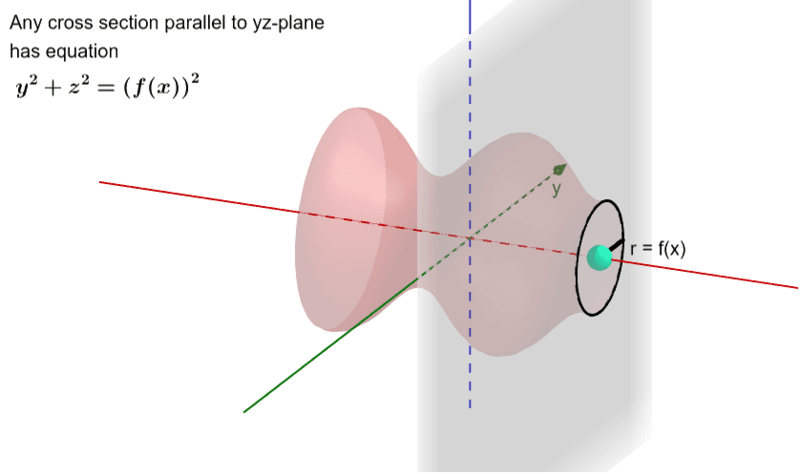 about the X-AXIS can be consider to be 2 SURFACES PUT TOGETHER: z = a surface with POSITIVE OUPUTS (top half) z = a surface with NEGATIVE OUTPUTS (bottom half). = blue surface shown below. = pink surface shown below. 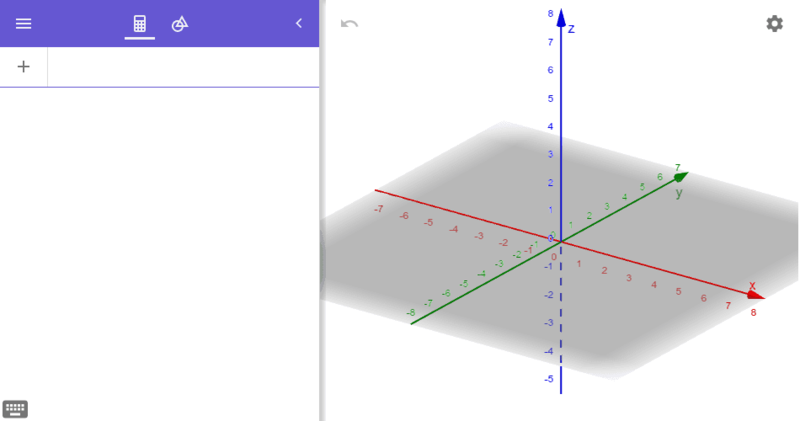 Now let's see what this looks like in GeoGebra Augmented Reality. TRY IT and EXPLORE! Note how this surface above resembles a vase. What other 3D solids can students model with only 2 surface functions within GeoGebra Augmented Reality?